You can’t do everything; but you can do something. We’re making it easier for women to share quality unwanted personal & household items; keeping stuff out of landfill & money in pockets. Swap. Donate. Recycle. Mend. Learn. In the beginning we wanted to help you re-home unwanted clothes + accessories, save money & reduce your impact on the planet by sharing items within your community. But what started as a women’s clothes swap has become so much more. … all while supporting local, national and international community groups and charities. Come join us. We’re doing it for the kids, each other & the planet. You can bring a range of personal and household items to swap with other attendees. Each event has a different range of items you can bring, so check your event listing for specific details. All items which are left behind after each event are donated to specific charity and community groups locally, nationally and internationally - keeping them out of landfill. We know you have drawers filled with hard to recycle items. We’re able to collect some on the day; check your event for which ones. Sometimes the only reason you’re not wearing a piece of clothing is because you can’t mend it. 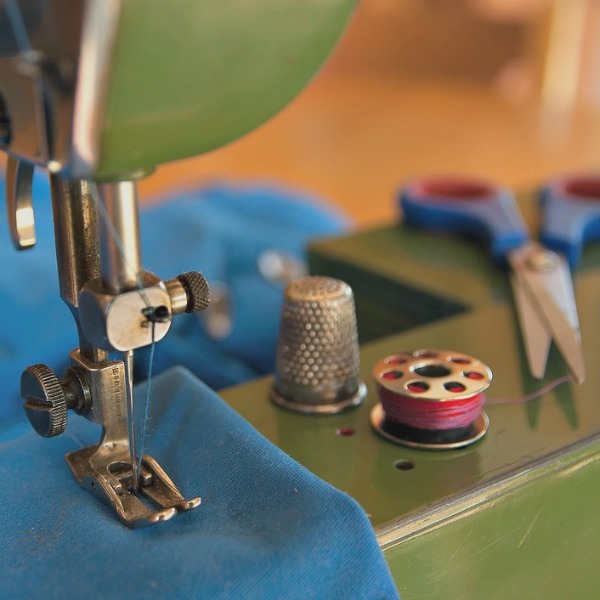 We have volunteers on hand to help you with a busted seam or hemming. It’s amazing what small changes we can all make at home to reduce our impact on the planet. We’ll help you learn what you can do easily at home. Thank you! You’'ll receive useful info emails and be informed when there is an event in your area. We can’t do it all; but we should all do what we can. In this our third year, we pride ourselves in doing our small part in helping the planet by making it easier for you to do yours. Local, national and international organisations supported with donations of goods and financial contributions. We’re in our 3rd year of bringing women together in East Gippsland with plans to grow and expand into other regional communities. Each event grows to support more women to swap, donate, recycle, mend & learn. Homes are becoming over-crowded with furniture, decorator items, clothing, toys and games. They are filled to bursting point with the things we MUST HAVE to live a comfortable/trendy/insert-persuasive-adjective-here life. So what is the answer? How do we beat this battle of ‘stuff’? The guilt associated with ‘getting rid’ of an item that no longer serves a purpose for us can be really difficult to overcome, especially if you see throwing it away as the only avenue of discarding it. With the hype surrounding Netflix’ divisive series ‘Tidying Up with Marie Kondo’, it seems that more and more people are turning to decluttering and tidying their homes, and indeed their lives, in an attempt to make great change. So what is all the hype about? A simple concept. Seemingly easy to implement. Is it the best thing to happen to children’s parties since sliced fairy bread? Perhaps! Here are some of the up-sides to this latest kid’s party trend. The WAW event is a highlight on my calendar because everyone wins! Such a great resource for our community. Tania Gorantis, event creator and Jo Woodward Ambassador for Bairnsdale. Thank you! Please visit your email Inbox now to confirm your subscription.